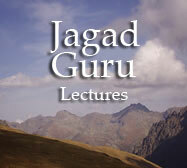 During a lecture on the important topic of phony gurus, Jagad Guru Siddhaswarupananda shares that there are certain aspects of character that define a phony guru. To illustrate this, Jagad Guru gives the infamous example of Jim Jones, a cult leader who took his followers to an early grave by mass suicide. “By studying the life of this character, this cult leader, we can see that his way of viewing himself and others is just a magnification of how so many of us view ourselves in relation to others. We can see the danger in some of his attitudes or his way of seeing things.” We can take his example as a warning to know where certain beliefs, taken to their extreme, may lead. Jagad Guru notes that Jim Jones was not the leader of just a few people—“he was the head of the largest Protestant congregation in San Francisco, in fact, in the United States—twenty thousand people.” Jim Jones was an ordained minister. By all accounts, he was a man trusted and loved by many. 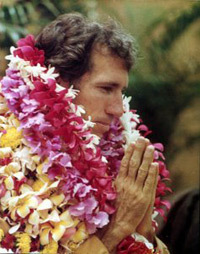 Jagad Guru Siddhaswarupananda is a Vaishnava spiritual master in the disciplic succession known as the Brahma Madhva Gaudiya Sampradaya. This highly respected spiritual lineage extends back over 5,000 years to Lord Krishna Himself. He is the founder of the Science of Identity Foundation which teaches the practice of meditation and kirtan—along with the timeless yoga wisdom of Vaishnava Hinduism—to help individuals achieve greater spiritual, mental, and physical well-being. Passed down for centuries through an unbroken line of self-realized teachers, this ancient and authentic process of self-discovery can be practiced by anyone.